Working for the Paladino was not without risks. Getting to work by bicycle or by lorry exposed the workers to being machined-gunned from the air; the building sites were targets for the bombers; clearing up the rubble in the cities following an air raid exposed the workers to the dangers of unexploded bombs or the collapse of damaged buildings. But being in possession of a document released by the Military Inspectorate at least ensured them against being press-ganged by the Germans or rounded up by the Fascists. And this was what General Paladino's propaganda sought to exploit. The present situation does not allow everyone to carry out his preferred trade, but requires that all take on whatever work is urgently needed for the defence of the Nation. All of you will be properly recompensed: food will be free, abundant and guaranteed; protection will be assured in respect of both the German and Italian authorities; other than this, the document which attests your belonging to the Military Labour Inspectorate will be released immediately upon enrolment and will guarantee that your work will be confined to Italy, as far as possible in your own region, and will exonerate you from being called up for military service or other obligatory call-ups. This will be exactly in line with what has been agreed with the interested authorities. This indicates a fairly evident change of approach from that used in the earlier Paladino campaigns or in the official propaganda campaigns of the RSI. The earliest appeals, in fact, had played upon the sense of duty and the need to rebuild the homeland that had been destroyed by invasions and air raids. 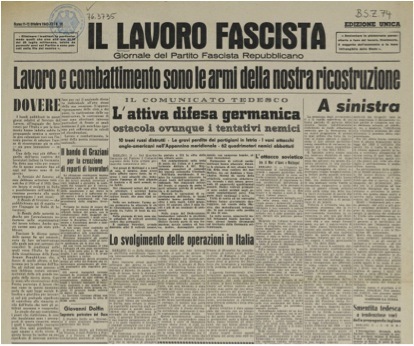 The 29-30 September 1943 edition of “Fascist Labour”carried a full-page headline with the words: “Rebuilding the Fatherland by means of Labour and Arms”. Afterwards there followed an article explaining the purpose of the General Inspectorate and its workers. There was no reference to fascism but only only to one's duty to one's country. Evidently these appeals to patriotism did not produce the desired effect, and Paladino, as has been demonstrated, put more emphasis on assuring the men that the Inspectorate protected them from being sent to work in Germany and from being called up for military service. 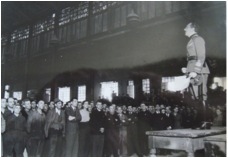 Other than the specifically stated propaganda, Paladino sought to promote the maximum cohesion amongst his “troops”, pushing the officers into establishing close relationships with the labour force, personally inspecting a large number of battalions, and rewarding the most deserving workers. He attempted to bring about some form of 'esprit de corps' by organising paramilitary ceremonies such as the “handing over of the flame” which recalled the handing over of the flag to the troops, prize-giving ceremonies, and the raising of morale, the latter through the setting up of a body of military chaplains. In short, it was intended that the Paladino should not resemble a body of shirkers but become a homogeneous organisation in which the workers could regain their self-esteem. 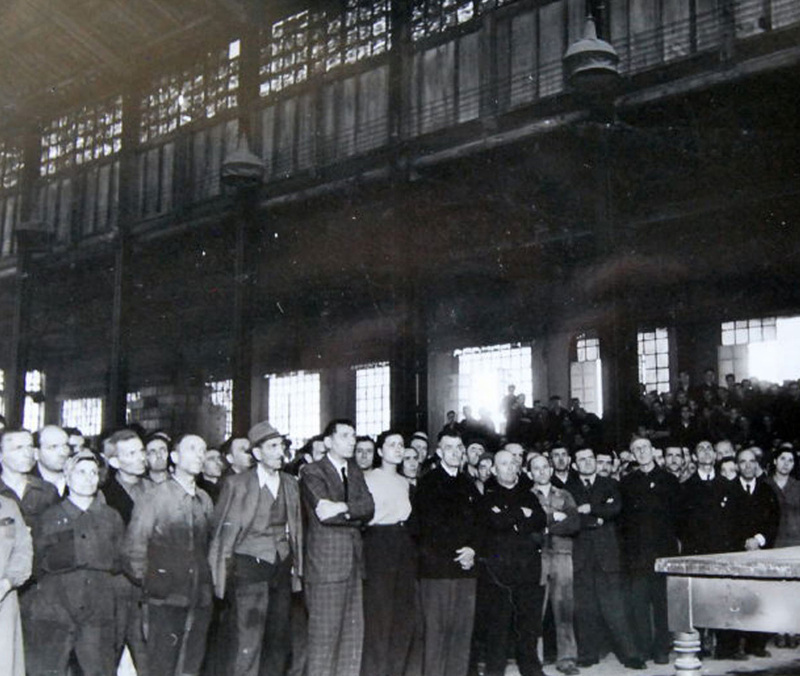 Moreover, after the spring of 1944, some labourers' battalions were created from youngsters who had been avoiding the call-up and from partisans who had taken advantage of Mussolini's amnesty, granted in the May of that same year. Several thousand partisans and draft-dodgers took advantage of this opportunity even though they had little faith in the enterprise both from a political and practical point of view. Diario Storico della Organizzazione Paladino. 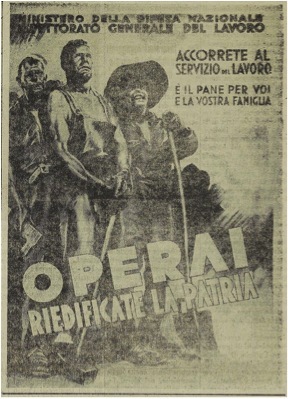 A Raccolta!, “La via dei lavoratori”, numero unico, ottobre 1943.